Jarre recorded the album 'Rendez-vous' after being inspired by the sounds of the Elka synthesizer, which he used a lot on the record. It also features his first heavy use of the Moog synthesizer on a studio album. This single featured part 4 of the album. In 1986 NASA and the city of Houston asked Jarre to stage a concert to celebrate NASA's 25th and the city of Houston's 150th anniversaries. 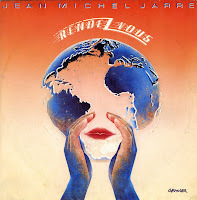 During that concert, astronaut Ronald McNair was to have played the saxophone part of Jarre's piece "Rendez-vous VI" while in orbit aboard the Space Shuttle Challenger. It was to have been the first piece of music recorded in space, for the album. After the Challenger disaster of January 28 1986 which killed McNair, the piece was recorded with a different saxophonist, retitled 'Ron's piece' and the album dedicated to the seven dead Challenger astronauts. 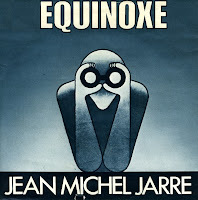 'Equinoxe' was the second album released by Jean Michel Jarre, released in 1978. The album reflects a day in the life of a human being, from morning to night. The release of the album was followed by a concert on the Place de la Concorde, Paris on July 14, 1979. The concert attracted one million people, becoming Jarre's first entry in the Guinness Book of Records for the largest crowd for an outdoor concert. The single 'Equinoxe (part 5)' peaked at number 45 in the UK singles chart, and reached number 13 in the Dutch Top 40. The B-side of this single features an autograph of Jean Michel Jarre in the runout groove, as made by him on the master plate. I think everyone who grew up in or around the Seventies remembers their first cassettes. I got a tape recorder in 1980 and spent hours on end filling tapes with the music I heard on the radio. So in 1981 I recorded an instrumental track from a Belgian radio station, without actually hearing a title or artist. Instrumental tracks can be very hard to identify. And so it took me years to find out that this particular track was Jean Michel Jarre's 'Magnetic Fields part 2'. 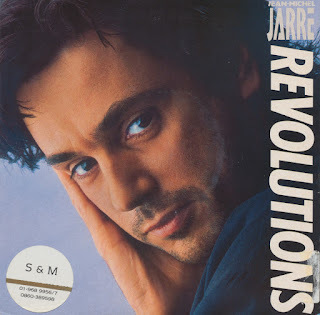 It was a minor hit in the Netherlands for Jarre, reaching number 34 in the Dutch Top 40. 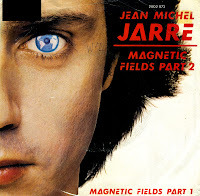 'Magnetic fields' was Jarre's first album recorded with digital synthesizers, having used analogue ones on his previous work. French composer Jean Michel Jarre composed, produced and performed 'Oxygene' in 1976 after he got inspired by a painting given to him by his future wife Charlotte Rampling. 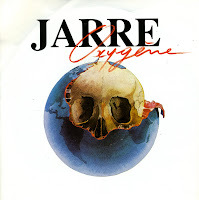 The painting was made by Michel Granger and showed the earth peeling to reveal a skull (This image also appears on the cover of the album). 'Oxygene' consists of six tracks, simply numbered I to VI. Part IV was released in edited form as a single. 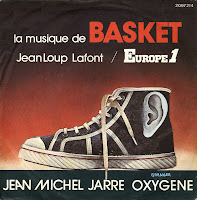 As is evident from the sleeve of the (French) single which I bought, the music was also used as a theme song for broadcasts of basketball games on the French channel Europe 1.